Prize Patrol at the Minnesota Beef Expo! Minnesota Beef Expo Exhibitors! 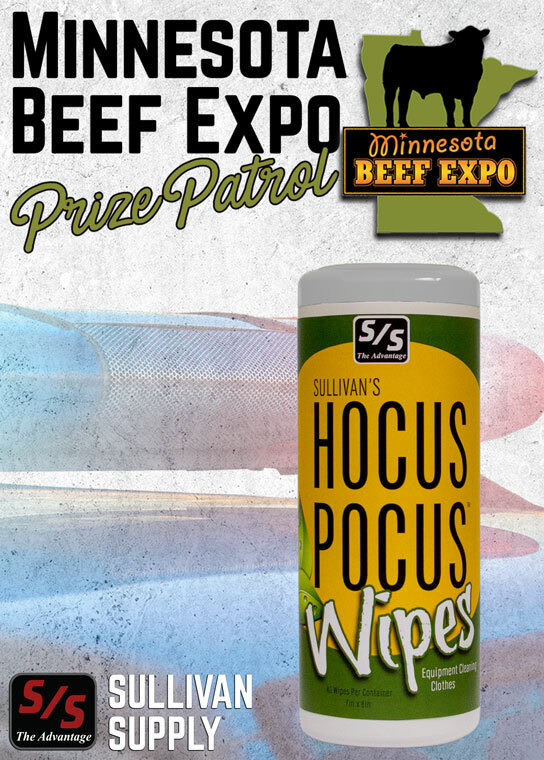 Be the FIRST person to go to the Sullivan Supply Trailer and tell Sullivan Supply Sales Rep, Trevor Biley a line from the movie, Hocus Locus will win a FREE container of Sullivan’s Hocus Pocus Wipes!